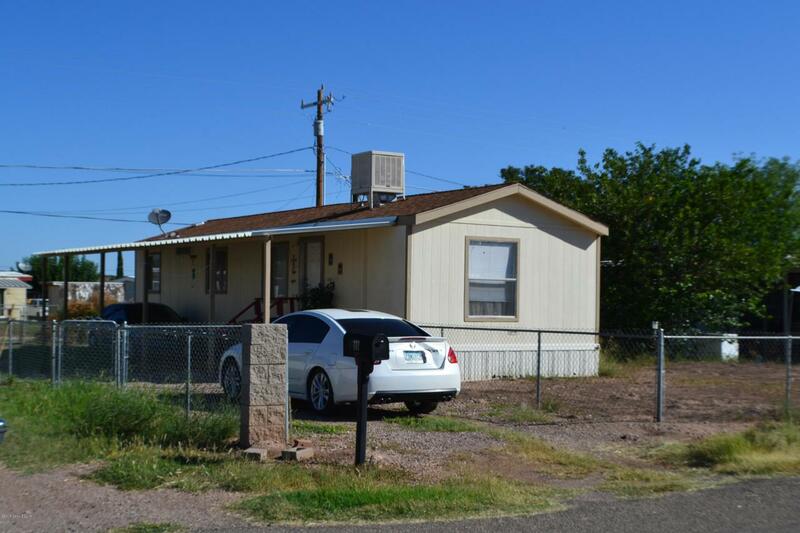 This is a cute, move-in-ready home located on the South side of the Huachuca Vista subdivision. Enjoy a great view unobstructed by buildings. It has 2 bedrooms and 1 bathroom, engineered hardwood floor in the kitchen, a ductless wall AC unit with remote as well as an EVAP cooler. Roof was replaced about 3 or 4 years ago. Listing provided courtesy of Cody Hoyer of Era Four Feathers Realty. © 2019 Southeast Arizona Multiple Listing Service, Inc. All Rights Reserved.